Ranked as one of the popular destinations in the United States, Philadelphia has many entertainment and dining options. Although Philadelphia is not New York City, there are still many great dining options to be found in the City of Brotherly Love. The area has a myriad of options for all cultural backgrounds. If you find yourself visiting Philadelphia or you are a native looking for new dining options, here are the five best restaurants in the area. Asia On the Parkway is one of my favorite restaurants not in China Town. 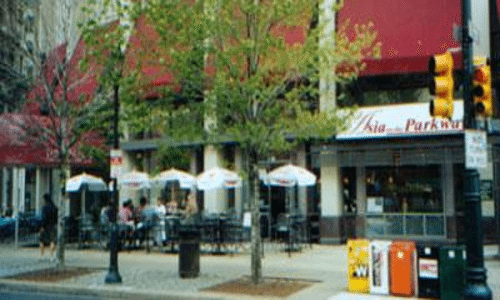 Located on the Ben Franklin Parkway, Asia on the Parkway offers Chinese, Japanese, and Korean fares. Not only does this restaurant serve up American-Chinese foods, but also authentic Chinese food. There is a lot to choose from on the menu, but each dish on the menu is made with care. I have never had a bad meal here and my parents generally enjoy their meals too. When my dad ordered the Peking duck, the waitress brought it out to him and before he was served, she carefully took the bones out of the duck and placed the meat into dough pouches. My dad was impressed. It reminded me of the various restaurants in China Town that I have loved over the years. I have always loved their sweet and sour chicken and Peking duck. Each meal is served with green tea and it’s located in the hustle-and-bustle part of the City coming from City Hall. Asia On the Parkway offers daily specials and is affordable. Jessica Marie Cavaliere is a travel writer, poet, and amateur photographer. She recently self-published As Far As The Eyes Can See, a poetry book about her travels and journeys, and is working on a book about Toronto. I’ll definitely check out these areas when I visit Philly! All sounds like great places.